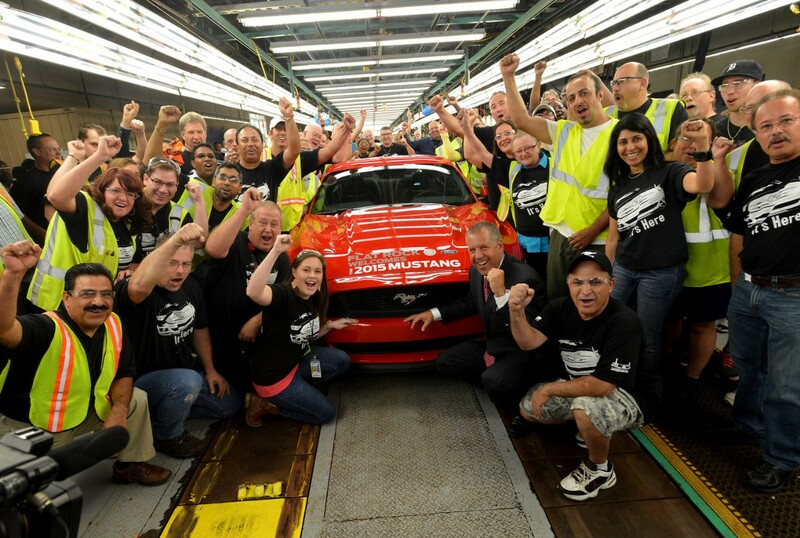 The 2015 Mustang is now being produced! The much anticipated sixth-generation pony car started rolling off the line in Flat Rock, Michigan on August 28th marking not only the car’s production but the first line of Mustang to ever be built for global distribution. “Mustang is and will continue to be an automotive icon,” said Joe Hinrichs, Ford president of The Americas. “Expanding its availability globally affords our customers around the world the opportunity to have a true firsthand Mustang experience – one unlike any other.” Look for the 2015 Mustang to arrive at Butler Ford this fall. For more on the car’s production click here. ← Previous Post Join Butler Automotive Group on Twitter!